Global Oil Condition Monitoring (OCM) support, where and when you need it, in order to protect your valuable assets and minimise risk. 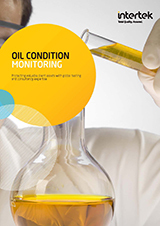 Oil Condition Monitoring (OCM) predictive maintenance programmes help clients avoid costly machinery, engine and power-train failures by tracking changes in machinery lubricant quality. Providing vital ‘early-warning’ of impending problems and supporting smooth and reliable machinery operation. Operational issues in machines, engines and other components are often reflected in the condition of the lubricant oil being used. Regularly scheduled oil condition monitoring can identify mechanical problems before they impact the efficient running of machinery, avoiding costly headaches later on. Lubricants have to work under demanding conditions, exposed to constant high pressures, temperatures and other harmful factors, including water contamination, corrosion, fuel, and air ingested particles. High levels of wear particles give advance warning of possible machinery malfunction, allowing early remedial action to be taken. Where analytical results suggest no undue wearing is taking place, the operator may extend the interval between services or oil changes. Scheduled lubricant testing and expert advice can avoid and mitigate costly component or system failures and unscheduled maintenance. Our OCM programme measures engine oils, lubricating oils, and other fluids for the detection of lubricant engine wear, lubricant quality degradation, and other problems. 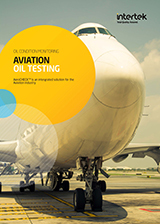 Operating on a global basis in 22 locations around the world, our oil condition monitoring laboratories offer accredited oil and lube testing results, presented in easy-to-read and understandable reports. We provide customised and extensive analysis suites and packages, including tests such as spectrometry, viscosity, dilution, water detection, acid number, base number, particle counting, and microscopic analysis to name a few. 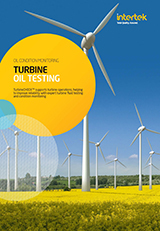 Our testing capabilities cover a vast range of oils and lubricants, spanning a range of industries and sectors including; diesel engine lubricants, gas turbine generators, gearbox oils, jet engine OCM testing, grease testing, transformer oil testing, petrol, metalworking fluids, greases and gasoline engine fluids. Our Oil Condition Monitoring service will assess your lubricating oil for problems and report these issues quickly and efficiently. Tests are performed in state-of-the-art Intertek laboratories by fully qualified chemists. The OCM analysis results are reviewed by our experienced analytical data specialists to indicate oil and machinery health. Using our Intertek OCM programme is easy and cost-effective. By using Intertek to routinely test and check the condition of your machinery lubricating oils, you receive valuable comprehensive reports on both the condition of the lubricating oils and their machinery. We develop individual testing programmes to meet your Total Quality Assurance needs and ensure sample collection, shipping, testing and reporting is seamless, efficient, and cost-effective. 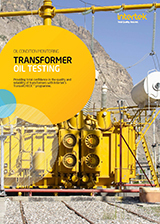 Intertek’s oil analysis expertise provides our clients with a multitude of benefits, with world-class OCM testing facilities and global service coverage. Our independent and impartial Total Quality Assurance specialists can truly satisfy your requirements with the precision, pace and passion you desire. 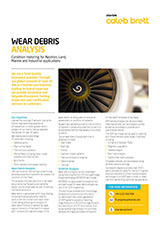 Wear debris is generated within any rotating system, by analyzing the debris it provides clients with a picture on the condition of their systems and where the debris may have originated from within systems, allowing informed decisions to be made on servicing and potential concerns to be addressed. Intertek Caleb Brett’s Fuels and Lubricants Centre in Farnborough, UK have utilized cutting edge Scanning Electron microscopy in an innovative way to provide condition monitoring services to clients with unprecedented accuracy. SEM is a very powerful analytical tool and well suited for wear debris analysis as part of an OCM programme. The technique provides highly detailed morphological and compositional information on debris allowing highly accurate conclusions on the health of assets to be made. SEM sample analysis can be automated meaning samples can be analysed quickly as well as accurately to provide semiquantitative results. 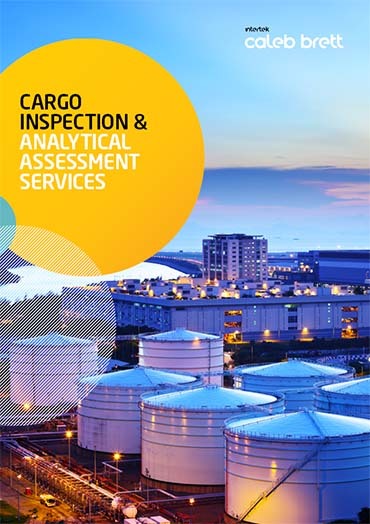 Intertek Farnborough Fuels and Lubricants Centre have extensive experience and expertise in providing wear debris analysis to clients, having operated the service for over 40 years with applications covering a vast range of sectors including defence, aerospace, marine and renewable energy.